Judy Caletti, the current President of the Musical Box Society International, took time out from a family holiday in Europe for an informal visit to see old friends and make new ones. 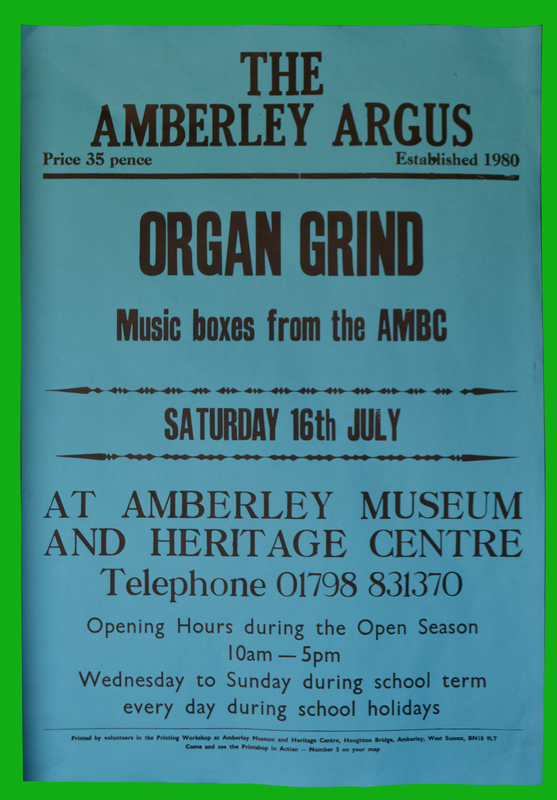 On a sunny Saturday in July members of AMBC brought their barrel pianos, organs and organettes to entertain the visitors at Amberley Museum. 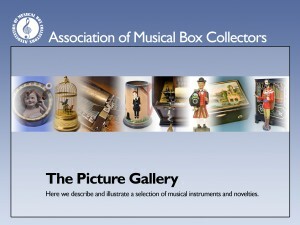 Ted also gave a series of talks in “The Hayloft” on musical boxes and other forms of mechanical music. 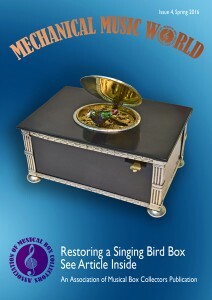 About 30 years ago I managed to buy my first key-wind musical box, a Nicole Freres serial number 36261, factored by Cox Savory, Cornhill, London, in about 1858. 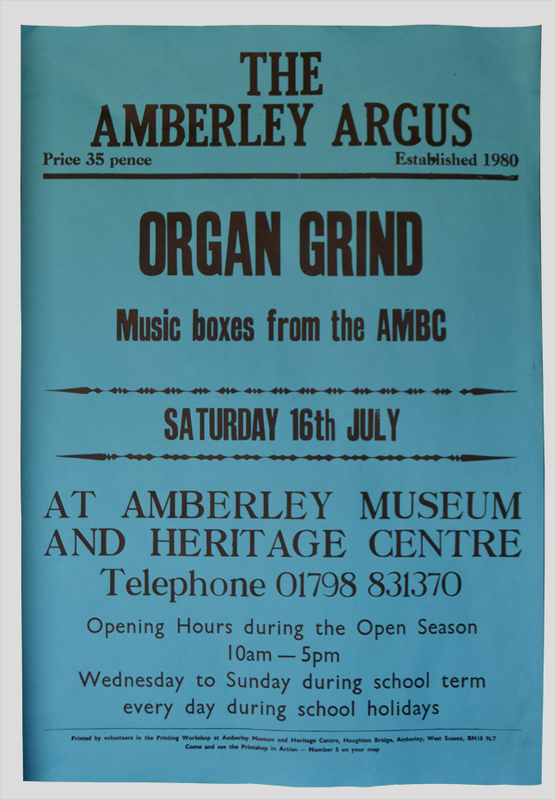 This week marked the first anniversary of our inaugural meeting in February 2015. 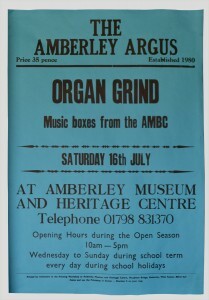 During the course of the year the membership has been steadily growing. 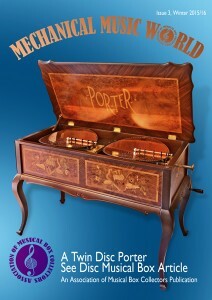 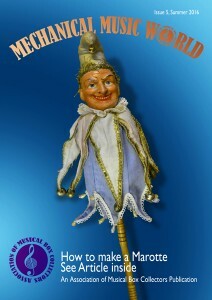 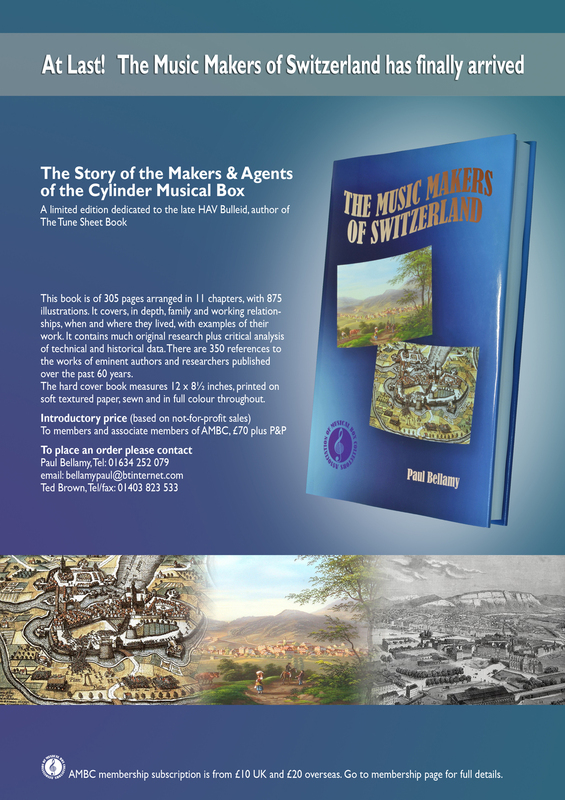 We have produced two editions of “Mechanical Music World”, with a third imminent; launched this website; enjoyed four meetings and two outings and published Paul Bellamy’s authoritative book on “The Music Makers of Switzerland”. 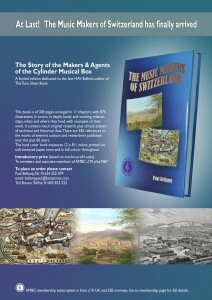 At Last – The Music Makers of Switzerland has arrived!